Click here for more Pomona Title Loans Locations! This location is near the corner of W Mission Blvd and S Huntington St, next to MetroPCS. Bus line #286 and #480 of Foothill Transit have stops at Mission Blvd and Hamilton, right down the street from this store. Check Foothill Transit’s website for more details. This location neighbors Mariscos El Ostion, Queen’s Donuts, and Fried Fish Fried Rice Teriyaki. Have you been constantly worrying about the state of your bank account? Has a recent unanticipated expense made it impossible for you to balance a budget? 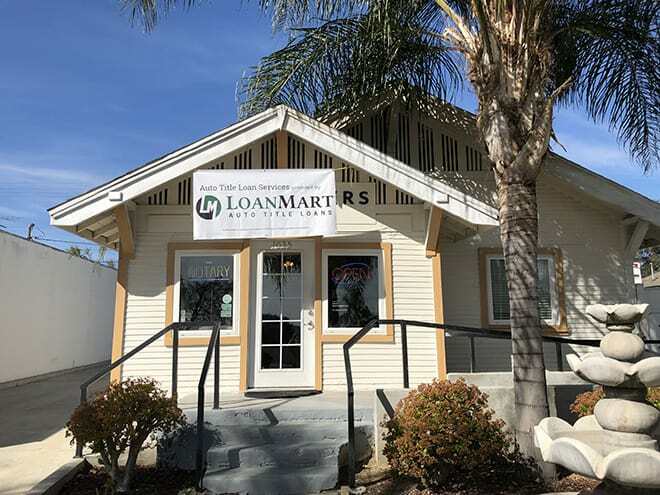 If you’re a Pomona resident who needs money in a hurry, LoanMart may be the solution for which you’ve been looking. Apply for an auto title loan in Pomona today, and you may qualify to receive as much as $30,0001 as fast as the next business day3. LoanMart uses unique qualifying factors to determine funding, such as your qualifying vehicle’s equity and your ability to make regular monthly payments on time. And with terms ranging from 12 to 48 months, they strive to ensure your loan terms meet your needs. Don’t let money troubles stop you from enjoying life. Apply for an auto title loan in Pomona and find out for yourself how LoanMart may be able to help you! Apply for FREE today by simply calling toll-free to speak with an experienced LoanMart agent, or submit an information request form on LoanMart’s secure website via computer, smart device or tablet. There’s a reason LoanMart’s retained so many loyal customers—LoanMart is dedicated to providing you with excellent service. They’ve been in the auto title loan business since 2002 and have helped countless customers obtain the money they needed. Traditional bank lenders often reject those people in need solely due to poor credit. LoanMart won’t define you by your credit history, that’s why they take a variety of factors into consideration, including your qualifying vehicle’s equity and your ability to make regular monthly payments on time. Don’t let your credit stop you from getting the help you deserve. Apply today, and upon approval, your agent will walk you through the auto title loan retrieval process and how to obtain your money, via LoanMart and Nimscorp Inc.!